NCMIC has been taking care of Chiropractors since 1946. NCMIC leasing knows better than anyone the types of equipment D.C.s need.For almost 25 years, NCMIC Finance Corporation has been helping D.C.s like you acquire equipment to build and grow their practices by offering unique financing advantages.If you need extra cash for new equipment, you've come to the right place. 100% Financing and with NCMIC you can finance 100% of the equipment, including software, freight, taxes and more!Low Monthly Payments & Up-Front Terms. When you choose a loan from NCMIC, count on low monthly payments with no hidden fees and the honest and fair contracts you should expect from your lender. NCMIC offers repayment plans from 12 to 60 months—whatever suits your needs. You also have the ability to defer your first payment for up to 90 days. This allows you to put your equipment to use before making payments. NCMIC has taken what can be a long process with other lenders and streamlined it. 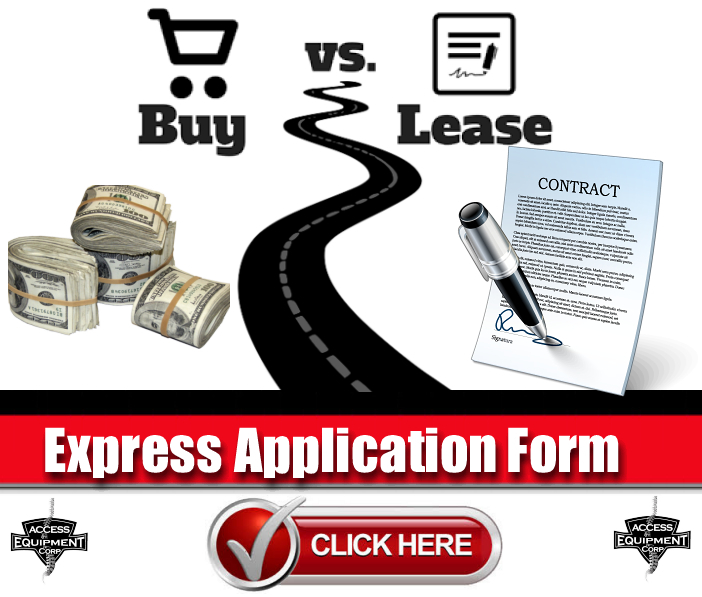 Count on express quotes, quick approvals and same-day funding. Prepayment penalties are common in the marketplace. Some companies advertise no prepayment penalties, but still require all future finance charges if you decide to pay off early. NCMIC believes it's your right to pay off your equipment loan early and won't penalize you for doing so. Learn more about NCMIC's honest terms.NCMIC is committed to communication and efficiency. With our automated systems, you'll receive emails when your application is received and a credit decisions is made. Then, loan documents are sent to you electronically for your review and e-signature. Plus, we'll email you when your equipment vendor is paid. NCMIC is a direct lender. This means you negotiate the best price with your vendor and then come to us for honest and fair financing. Other lenders may not understand chiropractic equipment or may require you to secure it with additional collateral. This can delay financing or prevent it altogether. NCMIC is dedicated to chiropractic and understands the profession. We can help you get the equipment you need quickly, without delays.